In 2008 he created the record label PANTENE/GREY MUSIC, the first imprint to release music as a joint venture between a brand and their agency, which released the digital single entitled “Shine” by Rosi Golan on iTunes. In 2005 he accepted the position of SVP, Director of Music, at Grey Worldwide, where he has worked in the studio with Cyndi Lauper, Harry Connick, Rihanna, Natasha Bedingfield, Chuck D, Bo Bice and Queen Latifah, amongst others. Before Grey, Rabinowitz was an Executive Producer of Music at Young and Rubicam from 1998-2005, an Executive Producer and Composer at bicoastal- tomandandy from 1996-1998, and a Producer and Composer at JSM Music in 1996. Previous to his advertising music career, Rabinowitz was a street musician in the US and Europe, a NYC Public School Music Teacher, a trombonist, and an arranger/producer. He attended the HS of Music and Art (aka the “Fame” School), Edinburgh University, and Tufts University and twice dropped out of Graduate programs in Music. He has been the bandleader and trombonist for NYC’s own funk band The Second Step, http://www.myspace.com/thesecondstepnyc, for 2000+ performances over the last 20+ years. Rabinowitz has won virtually every award in music for advertising that exists. Moderating/participating in panels, offering insight in the press and on TV and Radio, and serving as an adjunct professor teaching a course on “Music in the Media” at the Steinhardt School of Music Professions at NYU and the School of Media and Film Studies and The New School, are just a few of the ways Rabinowitz gives back to the industry. Some of his proudest musical achievements are that he won National Public Radio’s Beethoven’s Greatest Fan Competition, and that he has appeared 6 times on NPR’s SOUNDCHECK with John Schaeffer. Rabinowitz created the now renowned Grey Music Seminar at the Cannes Lions International Festival, since 2007, where he presented John Legend and Donovan. In 2008 he presented “Tony Bennett Talks Music” featuring the music legend and his son Dan Bennett at Cannes Lions. In 2009 he presented Little Steven Van Zandt and his band The Cocktail Slippers at Cannes. In 2010 he presented Yoko Ono, which was the big buzz maker at Cannes Lions. This past June he presented Punk Rock icon Patti Smith at this year’s Cannes Lions. 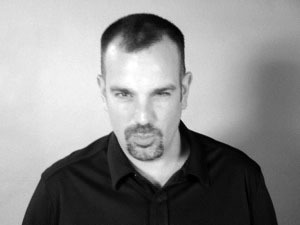 In 2008 Rabinowitz was a bi-weekly contributor to Billboard with a column called “With the Brand” and continues to contribute to the Magazine on occasion. Each year in January, since 2008, he presents a forum at MIDEM, the world’s largest Music Conference, on Music in Advertising. He is scheduled to do so again in 2013. Rabinowitz has been quoted and/or cited in the New York Times, The Wall Street Journal, Rolling Stone, Billboard, Crain’s, Fortune, Adweek, Ad Age, Creativity, Boards, Shoot, Time Magazine, The Boston Globe, The New York Post, FastCompany, where he was called a “New Music Mogul”. Some call him “the voice” of Music inBranding and Advertising.